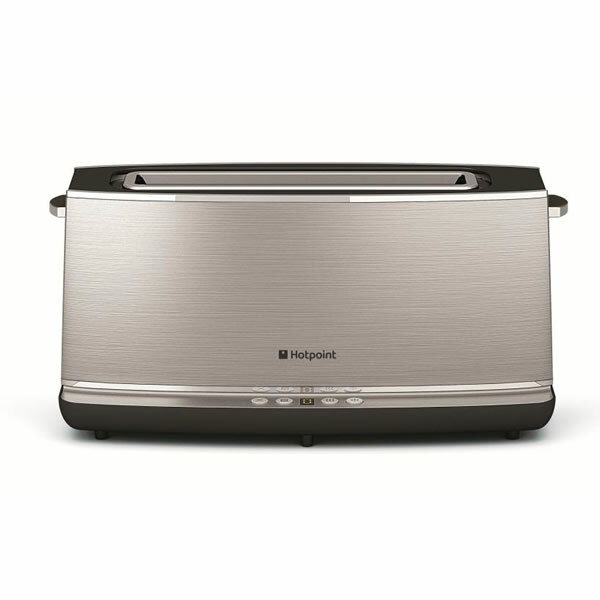 ""The Hotpoint HD Line TT12EAX0 Digital Toaster in stainless steel offers 8 different browning levels so you can have perfect toast just the way you like it. 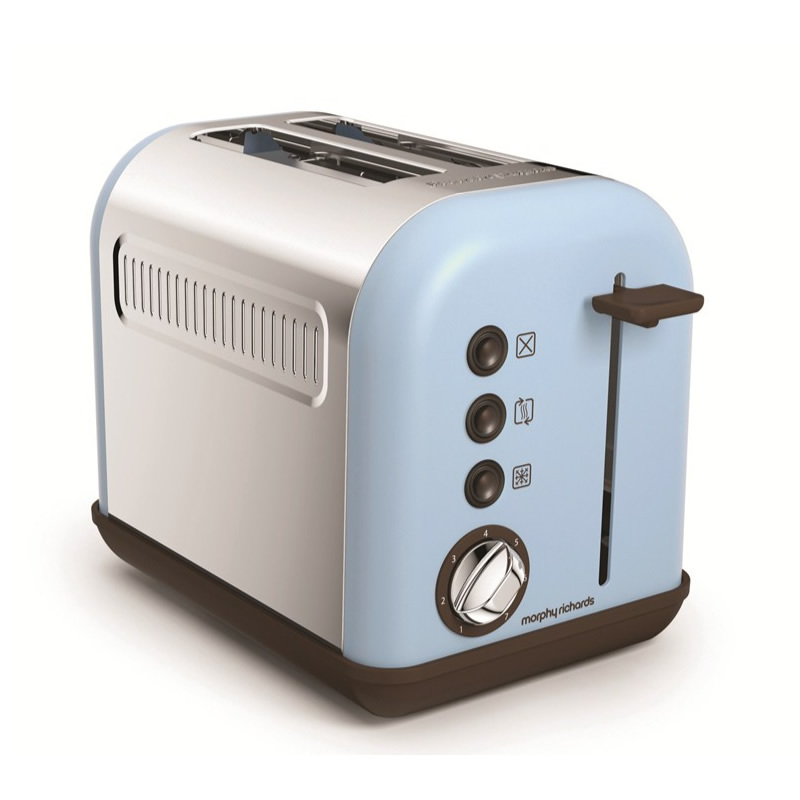 Designed to fit neatly on the top of the toaster, the detachable warming rack is ideal when heating a variety of bread products such as rolls, bagels, pastries and croissants.If items are forgotten about be it in the toaster or freezer dedicated re-heat and defrost functions ensure great results are always achieved. 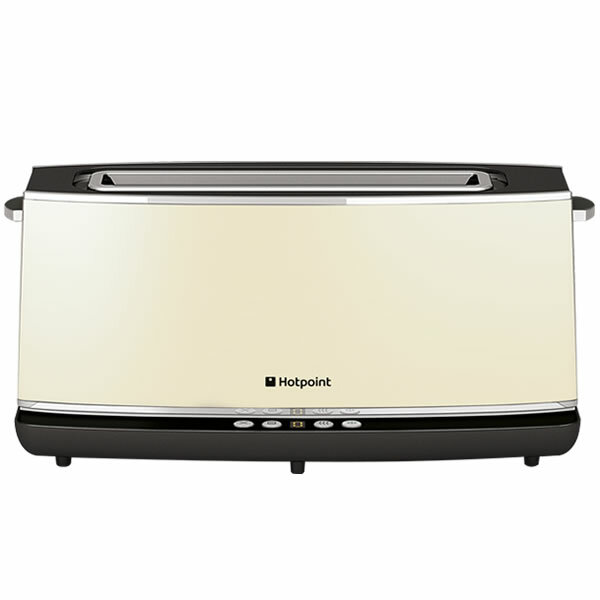 The extra lift system enables easier, safer access when removing items from the toaster.Part of Hotpoint's HD Line, the TT12EAX0 delivers unbeatable performance and great results every time. Reheating or defrosting also medium sized bread rolls is even simpler. Just put the bread on the special rack and start toasting. 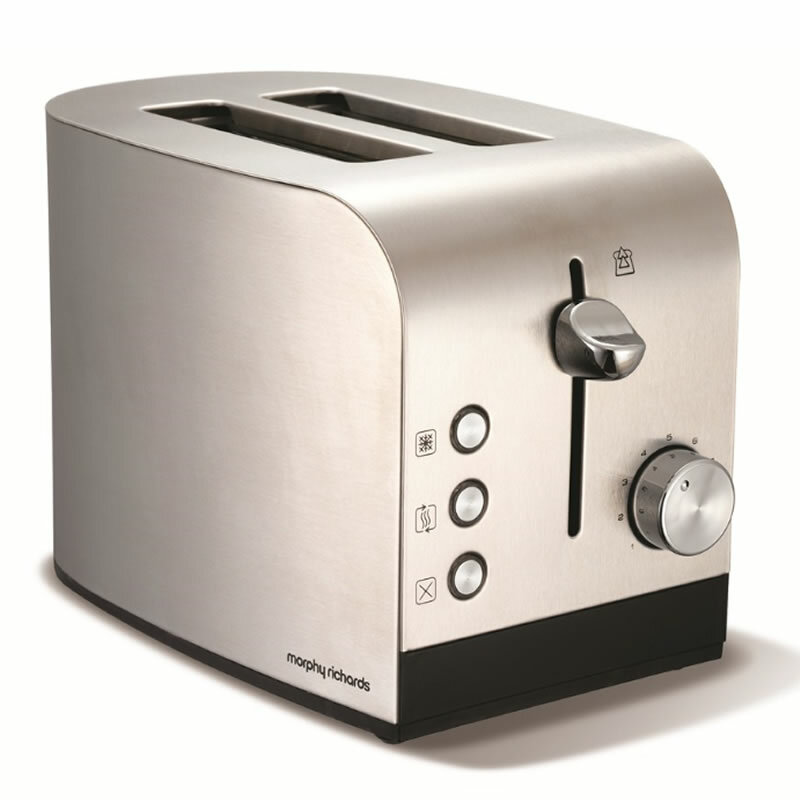 Also useful for reheating bread that has already been toasted without over-browning. 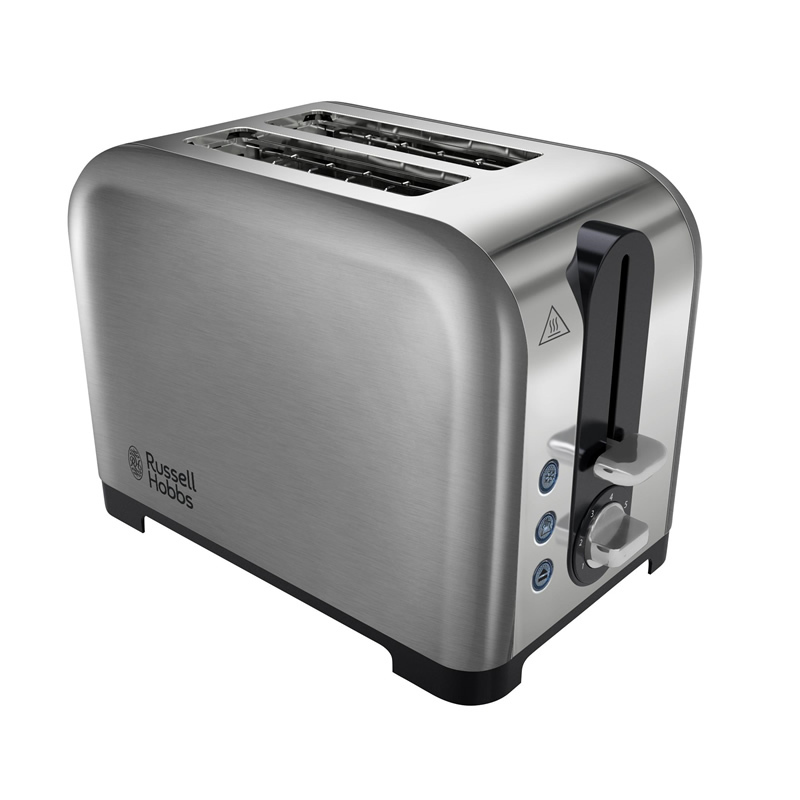 ""If you prefer toasted buns or bagels for breakfast but can’t fit the slices into your toaster, this 2 slice Wide Slot Toaster could be the answer. 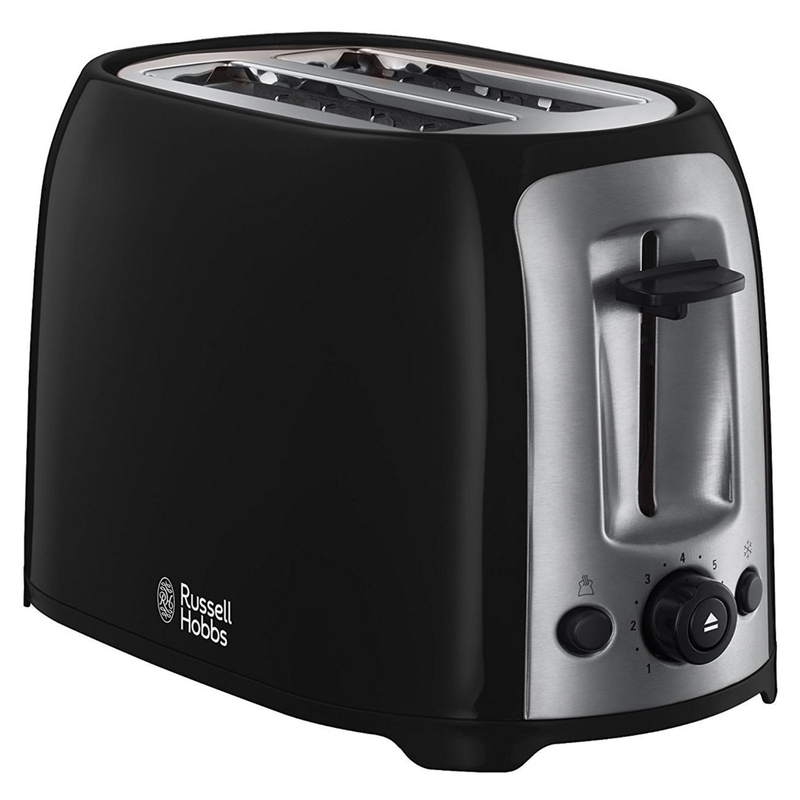 At Russell Hobbs we know people want a toaster with bigger slots, so we designed this toaster to fit. It’s wide slots can accommodate thick slices of bread, crumpets, buns and bagels – so there’s no need to switch on the grill. ""